Sterling Archer has no interest in attending San Diego Comic-Con, but he does make an appearance every year in a pre-recorded video that plays before the Archer panel. 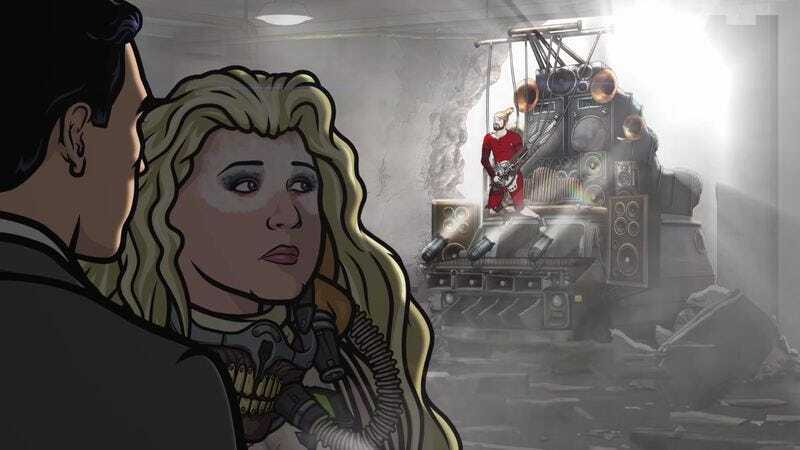 In this year’s clip, Archer is joined by Pam and Krieger as he learns of the possible news at Comic-Con and pans each prospective bit of entertainment in typical Archer fashion. Hating on Fantastic Four, Batman V. Superman: Dawn Of Justice, The Man From U.N.C.L.E., and Ant-Man provides lots of opportunities for Archer to make nerd references while also dismissing each film for its obvious flaws. Archer’s cynicism quickly evaporates once he learns about the existence of a new Star Wars film. Add into that some sweet cosplay by Pam and Krieger and it’s almost enough to tide folks over to the next season of the beloved spy show.